So where have I been? Pfft, where haven’t I been? The African Plains. The Mamanuca Islands. That new Burger King that’s opened opposite the bus station in Middlesbrough. These are all places I haven’t been, just to clarify. But, if I haven’t been visiting roaming the Serengeti, island-hopping in Fiji or partaking in flame-grilled sustenance by the heart of the Tees Valley public transport infrastructure, what have I been doing? Well, very little as it happens. In terms of running. Obviously the other areas of my life could have been hit by a veritable explosion of opportunity, adrenaline and fulfilment, both personal and professional in nature. I could have been hired as Bjork’s personal assistant. Or spent my weekends recording an R&B album with former world snooker no.3 Neal Foulds. Or I could have taken my chainsaw and gone on a rampage. As far as the extension cable would allow. In truth, if I had forced myself to churn out a blog entry across the course of the last few weeks it would have likely read ‘I didn’t do any running this week – couldn’t really be arsed. I did, however, eat more than one Milkybar Sharing Block on my own, and if the people from Nestle are reading this, I’d like them to know they can take their recommended daily allowance and shove it’. 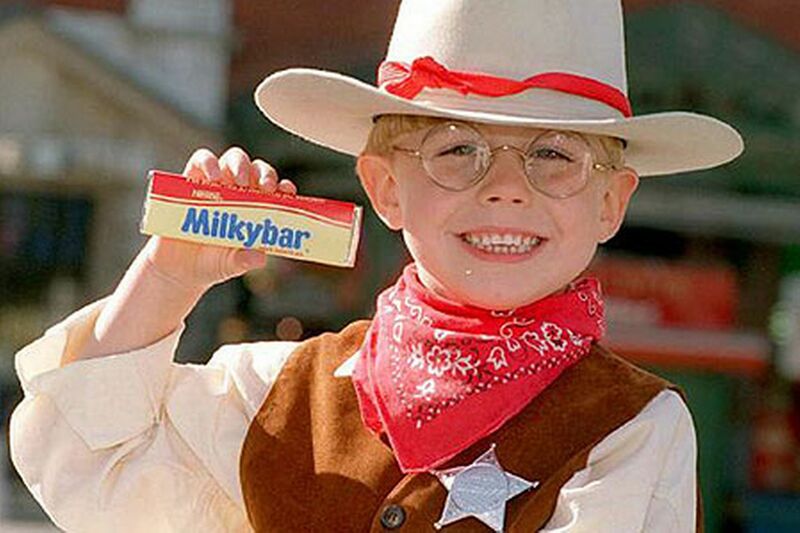 In addition to eating enough white chocolate to make the Milkybar Kid foul himself and fall off his horse (Did he have a horse? He did you know. Oof, someone has spliced all of the old Milkybar adverts together. I quite like the one where he vaporises a space alien using a bin lid. Not sure what that’s got to do with cowboys, mind. I can see a thrusting young marketing executive back in 1981 selling it to the board as ‘cowboys are out, spacemen are in’. Hmm, very much like the plot of Toy Story in fact. Nestle should sue. I’ll tell them. And demand a finder’s fee. Of $100,000,000,000,000) I’ve also become partial to biscuits at bedtime. Much like the Radio 4 programme Book at Bedtime. Only with biscuits. Enjoying all of this delectable confectionary would be fine if I was still knocking in 25 miles per week like I was last autumn. But I’m not. How many miles per week am I doing? Well, think of a number between 1 and 25. Double it. Add 7. Double it again. Add your age. Take away 20. Add 3. Then write that number on a piece of paper. Fold it up. And throw it in the toilet. Because the answer is 4. Of course, none of the above would be a problem if I was truly happy not running and devouring coffee table-sized Milkybars. But I’m not. Targets. Targets get me motivated. But sometimes just the very prospect of climbing on into the running gear causes me to make an involuntary claw-shape with both hands. Which no hobby should really make you do, I feel. But what if I had targets to reach? ‘Hang on a minute Taylorson – only a couple of paragraphs ago you talked about ‘not wanting to stress over running statistics’ cries the inner monologue. Indeed – let me explain. To myself. In an exercise of unashamed self-justification. Those ‘running’ stats bring their own pressures. Times. Pace. Distance. And so forth. What if you were just interested in getting fit? And staying fit. And keeping track of that fitness with some sort of…fitness tracker? ‘Haaaaaaaaaallelujah! Haaaaaaaaaallelujah! Hallelujah! Hallelujah! Halleeeeeeluuuuuuuujah!’ sings the heavenly choir. That’s what this man needs. He needs to purchase something. Something that’ll record his every step (Oof! ), elevations (Horgh! ), cycling (Clang!) and running (Meh!) and well as his heart rate (OK!) and Other Stuff (Woot!). See, some would see this as a defeat – that consumerism has told me I need this thing. But no. I have told me I need this thing. Because I know my limits. And basically it boils down to ‘I can’t be left alone to my own devices, I need to be answerable to an actual device’ But which device? Who knows? Well, I know. But I’m not saying. Until I’ve got it. Which might be by next week? Possibly. This entry was posted in Idiosyncrasies and tagged exercise, fitness, fitness trackers, health, humor, humour, marathon training, motivation, running, training. Bookmark the permalink. White chocolate is the best chocolate to be fair! Yeah! As an adult I’m supposed to favour the plain chocolate with its 92% cocoa or similar. But no. Just give me the kid’s crap with 92% sugar. It would be entirely dishonest of me to leave a comment here and not to admit to have had a similar experience with the Milkybar Cookies bar in the days after my last marathon, also whopper size. There was no sharing there either 🙂 I have that all or nothing streak to my running/health too – don’t think my body can process “middle ground”! Don’t tell your Facebook friends if you get a Fitness Watch/Tracker. You’ll get tagged in the ‘I’ve masturbated for 4.2 miles’ meme for months!